It’s not a shocker to hear that white students are two times as likely to be labeled ‘gifted’ or ‘intelligent’ as Black and Hispanic students. Nationally, when you take a snapshot of students in gifted and honors classes, you will see these numbers reflected. I didn’t realize how hard it was to get a foot in the door until my daughter had to practically lobby to convince her school to move her up to an honors math class. “I just want you to know the risk associated with this move,” was the warning given to me over the phone by my daughter’s 6th grade administrator. Had I not known better, I would have thought she was getting ready to bungee jump or climb Everest. I thought to myself, “Risk? What risk?” I eventually understood what she was implying. Honors wasn’t meant for my daughter because data-wise she was an average student. That administrator would go on to be one of our greatest allies in getting placement. Four weeks prior, my daughter had implored her math teacher and guidance counselor that she wanted to be in a more rigorous math class. She was in 6th grade math where the work was unchallenging and the pace was slow. Her grade consistently hovered in the 105% range, and she even solidified a recommendation from her math teacher to help her move up. Weeks went by with no follow up to her request. I sent an email to her guidance counselor. He advised us that based on her previous year’s assessments, she tested average and did not qualify for honors math. Ultimately he advised us she was in the appropriate class, and he would not be making any changes. Essentially, he wanted her to continue on the path of mediocrity because last year’s test told them that’s where she needed to be. Her counselor's resistance is tragic because too few women of color pursue STEM fields. 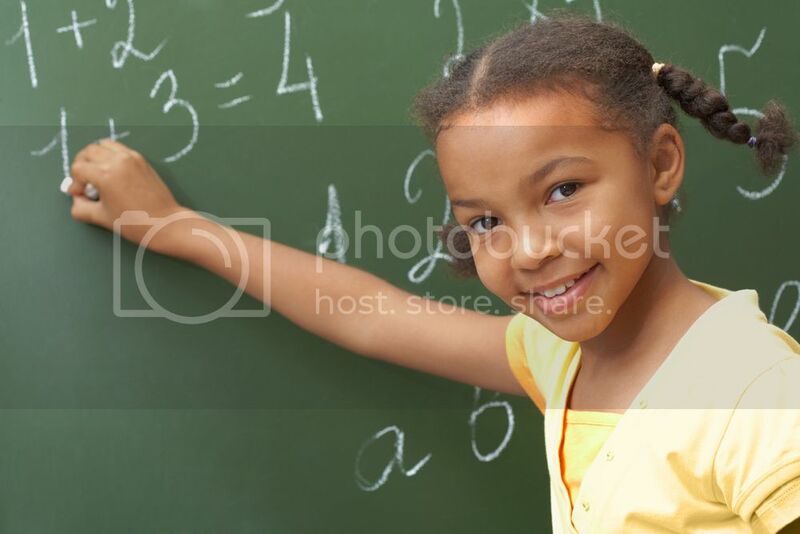 Studies have shown if a girl is extraordinarily gifted in math and eventually chooses against math, the loss is great. Tests do not measure giftedness or ability. Instead of her school providing an opportunity for an ambitious student to thrive, we were met with opposition and excuses. My daughter’s spirit began to dim. She lamented, “I just think they don’t want students like me in honors.”As her parent, I was prepared to pull whatever strings to fulfill her needs, and after a few emails and some discussion with her administrator, she started her second quarter in honors math. 1) Teach your child to self-advocate—Every child should have an opportunity to learn from more rigorous coursework if requested. If your child feels the work is too easy or not challenging enough, teach him/her to speak up and ask for more challenging work or a more challenging class. 2) Be prepared to go to war—As seen in our case, the schools did not want to make the changes because of protocol. Do not allow their excuses to stifle your child’s education experience. Don’t let up-- call, email and visit the school. Speak to the board of education. A present parent is a powerful parent. There needs to be accountability and expectations set and your presence will ensure your child’s education is most important. 3) Teacher recommendation—Ask your child’s teacher for a letter of recommendation. Teachers should be trained to identify gifted children and recommend them for the appropriate course. They can also attest to your child’s performance in class. 4) Don’t rely on the tests—Assessments are racially and socially biased and don’t accurately gauge giftedness. Also, outside factors such as test anxiety or sickness the day of the test can affect a student’s performance. Don’t let your school convince you that testing is the only way your student can qualify for advanced classes. 5) Secure support—Provide your child with the necessary academic support to ensure success. Take advantage of tutoring programs, Saturday schools, STEM clubs or other interest groups that specialize in rigorous coursework. Aonya Kendrick Barnett is a work-at-home mother of 4. She’s an early childhood education advocate, multimedia writer and blogger. She currently resides in the Midwest. Connect with her on Twitter @aonyaxo.